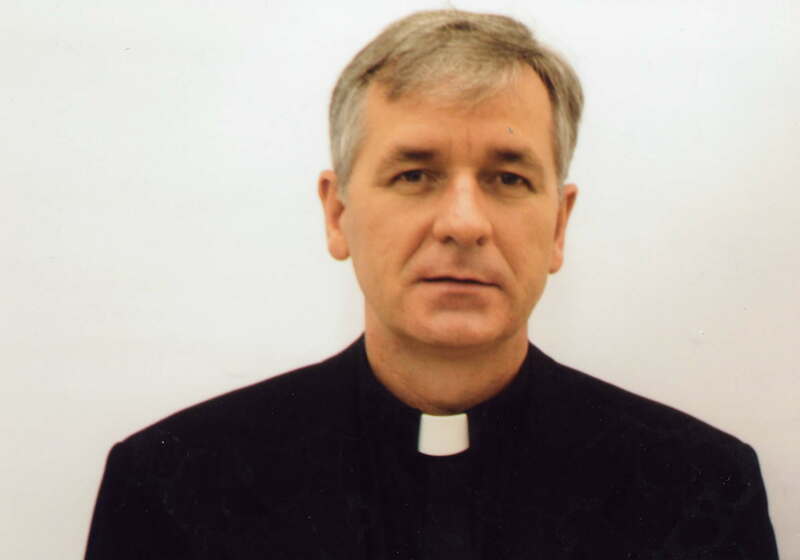 Our current pastor was born in 1963 in Myszyniec, Poland. Father attended the school of Engineering and Technology for five years in Ostroleka, Poland for five years. After much discerning, he decided to to enter the Minor Seminary of the Pallottines. Father was ordained May 5th, 1990. Father's first assignment as a priest was the Church of the Annunciation in Szmonki, Poland. Father was the assistant pastor as well as the religion educator in the public elementary school system. Shortly after, Father was sent to Edinburgh, Scotland to learn English and to be the Chaplain for the Community of the Brothers of Charity. In 1992, the Pallottine Fathers sent father to the United States. Bishop Head D.D., the bishop of the Diocese of Buffalo assigned father to St. Peter's in Lewiston, NY for six years. His next assignment was to Brooklyn, NY from 1998 - 2003. Father's first assignment as a pastor was to two twinned parishes in Niagara Falls, NY Holy Trinity and St. Stanislaus Kostka churches. After the Diocesan merging of parishes in Buffalo, Bishop Kmiec D.D. assigned father to St. John de LaSalle Parish in Niagara Falls, NY.